The DKVM-CB Keyboard, Video, and Mouse (KVM) cable is a 6 foot cable that is compatible with D-Link DKVM series KVM Switches. It is also compatible with most KVM switches available on the market today. Each end of the cable includes a keyboard and mouse connector (6 pin Mini-Din Male) and a video connector (15 Pin HDD Male). 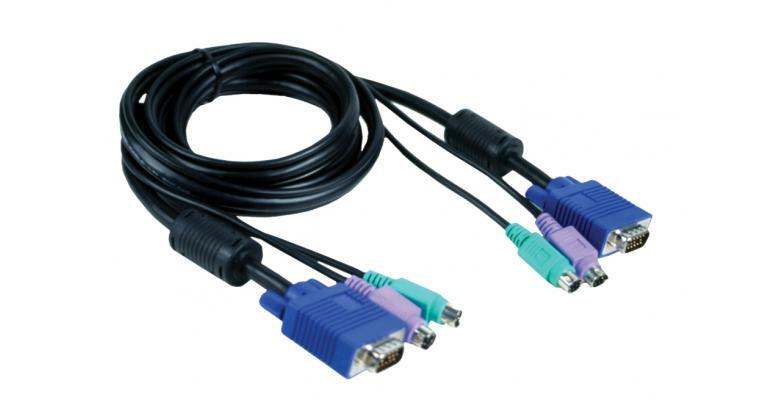 The Video cable is designed to ensure the highest quality of video over a KVM switch connection. Die Abbildung kann vom tatsächlichen Produkt abweichen.